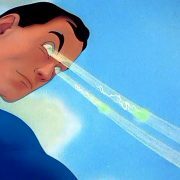 I’ve gained a new SuperPower – I can see hackers attempting to break into websites. No I wasn’t bitten by a radioactive spider or zapped by an alien – all I had to do was install the WordFence plugin for WordPress. …and now that I see the enormous amount of hacker activity, it’s frightening! WordFence has revealed that my client’s sites are being peppered almost continuously from would-be hackers across the globe, and the chances are, so is your website. Attempts to guess a userid and password and log into the site. Some hackers have managed to lock onto a login ID’s and now are trying 1,000’s of different password combinations to break into the site. Keep in mind that this activity is not from a person furiously typing at their keyboard, but from 100’s or even 1000’s of disassociated people who purchased and are operating hacking software. The software runs day and night, loaded with all known exploits – once it breaks into your site, who know what will happen. The frightening adjunct to this story is that WordFence can only sees the ‘public facing’ hack attacks to your website. As previously reported hackers are also targeting other entry points such as your web hosting account eg smtp (email) ssh (host console) and more. If your web host is not actively managing the security of these systems your business web site is at risk of being hacked/vandalised/defaced or worse, visitors to your site unknowingly getting a computer virus infection. If this is a concern for your business contact me to discuss our WebSite Concierge service. Another exploit revealed today, reinforces the fact that keeping your WordPress, theme and plugins updated reduces your site’s exposure to being hacked. 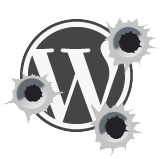 WordPress 4.2.1 is a ‘critical update’ in response to this exploit and you should immediately, if not sooner apply this update. Update your site immediately to Yoast version 7.4 or later – as all prior versions are vulnerable. If your WordPress site is configured to allow auto-updates then the patch may have already been applied – but check now – better to be safe than sorry! Our Website Concierge clients can be assured their sites have already been updated. Act now to be safe. The reason you should act promptly is that the hacker community (bless their little black hearts) now know the details of this exploit and will be feverishly setting up their hacking software to take advantage of it to vandalise at least some of the 17 Million websites that have downloaded Yoast. My much loved Jetpack Publicize can be tricky at times . If you have Yoast’s Open Graph meta data enabled (find it at SEO | Social|Facebook|Add Open Graph meta data) Publicize will not add its own Open Graph metadata with the end result (in my case at least) your post Thumbnail is not displayed in Facebook. How safe is your WordPress site? Long live WordPress …as long you don’t get hacked. WordPress is ‘easy’ so we get complacent. WordPress website owners become a headache for Web Hosts because they need more sophisticated technical support. Even restoring WordPress from backup is much more complex (ie time consuming) than a flat HTML site and not something that a web host can afford resource in their modest hosting fee. Where are the hackers from ? As we reported in Sept 2013 the vast majority of hackers we see are still from China (by an order of magnitude). Surprising by true. This chart shows the nature of server hack attempts, which reveals some interesting if not frightening information. A successful attempt would enable the hacker to take over the web server to destroy not only your website but all other sites on the same server. Website Concierge servers have this service disabled because of the significant risk. LF_SMTPAUTH (green) Hackers are trying to gain access to the email server. That’s right – access to email accounts can be a valuable resource for hackers. LF_FTP (pink) Hackers attempting to access your website via FTP to gain control of it and make any changes they want. In addition to server ‘back door’ hack attempts, hacking software can attempt to break into your WordPress site through the ‘front door’ – your website login screens. Here the hackers software will cycle through User ID and password combinations to attempt to gain an illicit login. The Simple History WordPress plugin enables you to conveniently see these hack attempts. In these examples, the hack software made nearly 37,000 attempts to login in as ‘Admin’ – persistent isn’t it? As a basic security process we delete the default WordPress administrators account ‘admin’ for Website Concierge sites. Do you have the Admin ID active in your WordPress site ? I’d suggest you should remove it! The weakest point of defence for a brute force attack is the easiest password to guess, so are you managing the password strength in your site ? There are some excellent password strength WordPress plugins. OK so maybe there’s more hacking activity than you might have guessed, what should you do so you can get back to doing the doing without spending too much money. http://succinctideas.com.au/wp2/wp-content/uploads/2014/04/wordpress-shot-up.jpg 159 164 pete http://succinctideas.com.au/wp2/wp-content/uploads/2014/08/si-colour-logo-300x137.png pete2015-02-22 06:32:592015-02-22 06:32:59How safe is your Wordpress site? WordPress is a fabulously convenient and functional blogging platform, but it is very important to understand that it is not a set and forget system. Updating the core WordPress system and other software modules in your site is key to minimising your site’s exposure to being hacked. WordPress is used widely for building websites – Wikipedia says it is used by more than 18.9% of the top 10 million websites as of August 2013 and there is no doubt the number is growing – but WordPress is also an easy target for hackers, especially if it has not been updated. Despite its apparent simplicity, WordPress has evolved into a sophisticated system. In addition to the core WordPress software, maybe 10 plugins and a theme, your website becomes a complex software environment – with lots of scope for hackers to find exploits and then gain access to, or to compromise your site. Often hackers use exploits to gain access to the web server via another website, then they go from account to account inside the web server. Some web servers contain 100’s of co-located websites, so there’s an increased chance that one of the sites is exposed to hackers and so leaving your site exposed as well. So you not only have to keep your site up to date, but all of the websites in your ‘neighbourhood’ also need to be kept up to date too for optimal hacker protection. Succinct Ideas have developed a reputation for de-hacking WordPress, so I get quite a few calls from desperate website owners. My experience is that Web Hosts are unlikely to assist other than blasting your site away and restoring from your backup. Backup ?! You keep a library of recent off-line backups of your site. Right !? If you haven’t got a recent off-line backup then you’re in a real pickle. Often website owners rely on their web developer who may not necessarily have skills in this area or maybe they don’t have a website maintenance provider. If you have a hacked WordPress site then by all means contact us. Please note that the amount we can assist you depends on access to a recent backup. Sometimes an update will break your site. Occasionally an update will not be compatible with other systems in your site and may break the site. Plugins usually provide compatibility information, but theme updates can be problematic. I find the best approach is to review the update(s) and their support information; do a site backup; then run the update(s) and check the site for correct operation. WordPress will automatically change into maintenance mode while the update is running. Visitors to your site will see a message that the site is down for maintenance, please come back later. If your update crashes (it happens) the site will stay in maintenance mode – so it’s effectively offline – and can stay that way for days until someone notices. There’s lot a excellent premium plugins and themes available to make your site look fabulous or give it amazing functionality. These may require manual update downloads, requiring a password or other proof of your entitlement to the premium license and so will not update through the normal WordPress update system. Check with your web dev if they have used a premium theme or plugin and clarify the update procedure with them. Of course ensure you have access to the premium licence serial number. WordPress 3.7 introduced automatic updates for WordPress core software. Notably it doesn’t include plugin and theme updates, so its important to continue to monitor your site’s update status. If you aren’t receiving these emails check with your web dev. The number of outstanding updates is shown next to the menu in a red circle and they are listed on the updates page. Who is receiving your WordPress Admin notices? There are a range of important (and some less important 😉 notices that WordPress emails to the admin email address. Login into your Dashboard and go to Settings | General to check where these notices are currently being sent. Ensure that the email address is checked regularly and the recipient understands that there maybe important messages coming through. Use a Reverse IP website to find the co-located websites on the same IP. NB This is not a complete list as web server likely has multiple IP addresses as well. If there’s some dubious looking co-located sites you might want to discuss this with your web host, perhaps even ask to be moved to a more secure server. ‘Publicize’ is a component in the Jetpack ‘plugin’ for WordPress that re-publishes your blog posts into various Social Media channels including Google+, FaceBook, LinkedIn Twitter etc. It happens automatically and painlessly. This is a great productivity tool for busy small business owners who want to stay on top of their social media & blogging commitments. I’ve been using Publicize in my site for a while, and it works quite reliably, so I thought it might be useful in your site too. – Dont have one? Go here and make one. This displays all of the Social Media channels you can connect your blogs to, and connect buttons for each. Select your chosen channel click the Connect button and follow the bouncing ball to authorise your blog to connect to the service. The authorisation process requires you be signed in simultaneously to your blog, have Jetpack connected via your WordPress ID and the individual social media services for configuration. It sounds over-whelming, but once you’re through it once its easy. Then publicize pushes out the content automatically when you publish a new post. If you run into issues let me know and Ill see what I can do to help. I assume this is to stop you from spamming by preventing your from re-publishing the same post over and over to your social channels. I notice that from time to time you’re asked to ‘refresh the connection’ to your Social Channels. Another spam preventative strategy maybe ?